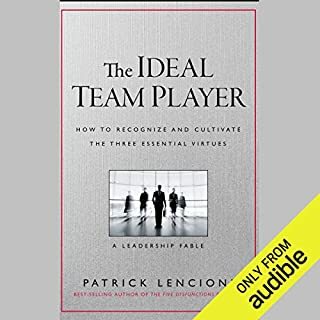 Reknowned for turning fables into practical advice, Lencioni makes his groundbreaking model applicable to the real world. 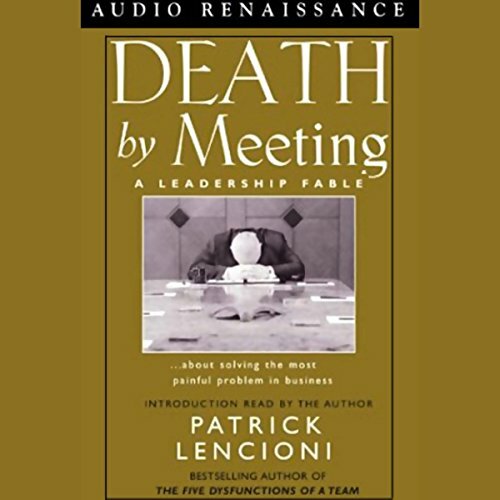 Death by Meeting is nothing short of a blueprint for leaders who want to eliminate frustration among their teams and create environments of engagement and passion. 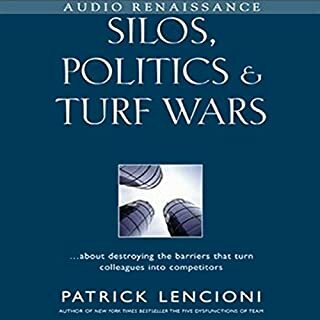 Don't get me wrong, I'm a big fan of Lencioni, and this is a great story/read. However, the vast...vast majority of leadership is not the executives on the C floor. They are the middle managers. I have yet to find a really good resource for this very overlooked area of leadership. 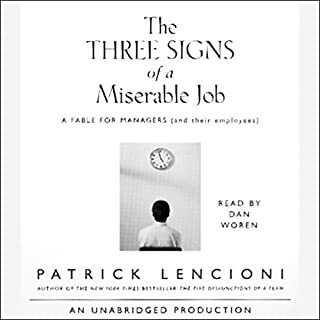 All of Lencioni's works are aimed at the CEO and Executives. I do get great insight from his engaging style, but there are not a lot of examples, if any, for leading from the middle of an organization. I listened to this story twice and found it exactly what I was looking for, as a recipe for creating compelling meetings with my staff of 16 managers. The model is simple to implement and creates immediate results, from interesting short weekly tactical meetings to monthly & quarterly strategic discussions with active debate. I also recommend reading Patrick's other title on the "Five Dysfunctions of a Team" as it melds very well with this one to build overall team strength with robust communications and a trust ethic that gets results. This was an interesting story illustrating the importance of business meetings and how to conduct them. I'm sure anyone who has ever attended a business meeting will find themselves somewhere in this story, especially at the beginning when they were doing it all wrong, and chuckle. There were many examples to reinforce the concepts of how to do it right. Overall as with all of Lencioni's fables the story is good. It isn't my favorite, but it is good and there is plenty to take away. The narrator was good for the first half of the book, but then the audio appeared to shift significantly at the beginning of a new section. It was enough of a shift that I thought it was a completely new narrator altogether. Additionally the narration is at times a bit too animated for my taste. 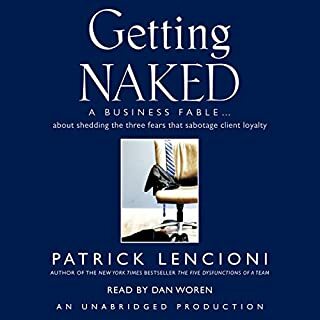 In summary, the story is good, but certainly should not be your first Lencioni book and the narration is adequate. The fact that Patrick first writes in a fable enables you to connect with some of the issues that you face in your own meetings, and then the processes and working through them with "real" people who do exist with the same challenges in your own organisation enables you to grasp the concepts that Patrick is sharing with you at a realistic level. The book is neither too long or too short! Very good concepts and approach. Story and examples to reinforce. excellent, making meetings productive and maybe enjoyable. 4 types of meetings very useful for me. Death by meeting should be on the mandatory reading list of every MBA graduate. Heck every high school graduate. Author reminds us that Agendas, Meeting minutes, etc are table stakes. Purpose, Engagement, and Conflict addressed skillfully is the next step. Loved it!!! What made the experience of listening to Death by Meeting the most enjoyable? Well crafted story that had me thinking through each topic with the author. What was one of the most memorable moments of Death by Meeting? The CNN Headline news meeting - I now use this one in all regular meetings. Which character – as performed by Jack Arthur – was your favourite? The idea of a CEO always worrying about what everyone thinks and getting tied in knots trying to keep everyone happy. 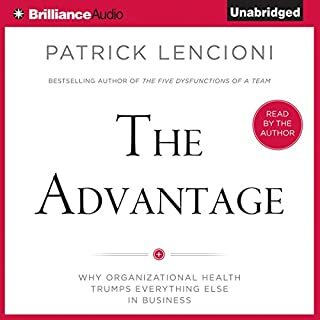 The Advantage takes some of the key parts of this and other books by the author however I like being able to read/listen to both. Im a big fan of the author but i have to say i struggled with this book. I found it a little slow and it took too long to get the central points.